James Toseland ended his first MotoGP test in Sepang today in positive and confident mood as he lapped within 1.5s of world champion Casey Stoner’s fastest Malaysian GP time. 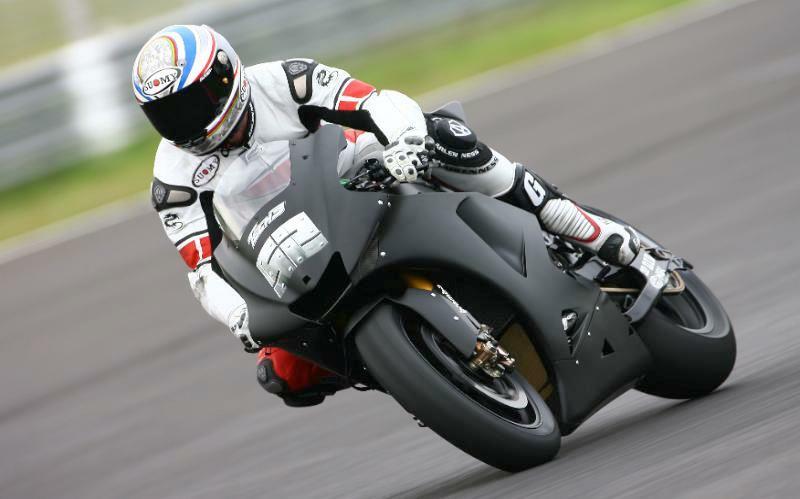 The double World Superbike champion ended a gruelling three-day test session with a best time of 2.03.550, which was just 1.2s slower than Valentino Rossi’s fastest Yamaha time in last month’s Sepang GP. He broke into the 2.03 bracket for the first time today on lap 17 with a 2.03.921, and his best time was clocked on his next lap. He clocked a further ten laps in the 2.03 bracket and also completed his first long distance run as he continued to make big strides in adapting to the YZR-M1. He ran 11 consecutive laps but aborted a planned 15-lap as he began to suffer lapses in concentration in searing hot temperatures. In three days though, the 27-year-old managed to slash two seconds off his best from the opening day as he comfortable beat a Tech 3 team pre-test target time of 2.04.00. “I am happy. I’ve gone a second a lap quicker each day, which is good progress and my race pace was not far off. To go from lapping in 2.06 to consistent 2.03s is good. Towards the end I was tired though. I was going to do a 15-lap run but I got 11 laps in and I was losing a bit of concentration on the straights and I thought there was no point in carrying on. Looking at everything, when I was doing 2.03s, I was about three-quarters-of-a-second to a second off race pace on average with everybody. If I’d have said before I came here with a new track that is over two minutes long, to be just under or over a second lap slower than the guys, I’d have been pretty happy, “Toseland told MCN. Toseland was full of praise for Tech 3 Yamaha team-mate Colin Edwards at the end of his debut test. Edwards finished the test with the fastest time on race rubber, and he was frequently offering advice to Toseland over the three days. “Colin’s been excellent. Every now and again he comes and sits beside me giving me a few pointers and asking if I’ve got any questions. I knew he was going to be good but he has been really helpful, “said Toseland, who flew back to the UK tonight via Doha in Qatar, before preparing for his second test in Jerez that starts a week on Tuesday.